APRA is just not doing us any favours. If you want to know what’s behind the multi-week decline in Sydney property prices, there’s only one culprit: APRA. 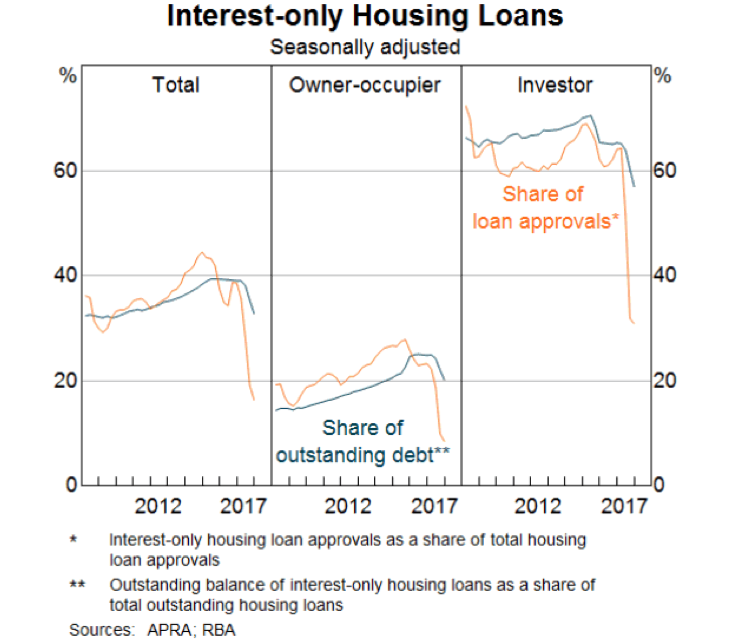 APRA – the bank regulator – has been tightening the screws since the middle of last year, going hard on investors and interest-only lending. APRA threatened the banks with a stick, the banks pulled their heads in, and interest only lending fell… sharply. Check out this chart from the RBA. And with loan approvals dropping off a cliff, obviously prices stalled. So nice work APRA. You brought poo to the party. Job done, right? But no! Just as I had been hoping they were going to get their boots off our necks, turns out they’re coming after portfolio investors now. Not that I’ve seen any media coverage about it. No one gives a stuff about portfolio investors. We’re all rich elites with literature doctorates from Oxford right? Here’s some feedback for you. Stop being a pack of ‘nongs!’. Just stop it. Have you got any idea what you’re doing? Ok, so it might not be obvious what they’re saying here, but treating portfolio investments as ‘non-standard residential’ is a huge change. The key here is risk weightings. Risk weightings are used to tell banks how much capital they need to keep on hand to support their mortgage lending. So a risk weight of 50% say, says that 50% of their loans are ‘at risk’ and therefore capital needs to be kept on hand to cover that risky portion. Until 2004, risk weights for all residential mortgages were set at 50%. But that seemed high, so it was lowered to 35%. That was nice for the banks. If they didn’t have to keep so much capital on hand, they could lend more of it out, and make more money on it. But then the banks probably pushed it a bit too far. The majors said, let’s not use these one-size-fits-all rules of thumb. We have sophisticated models. Let us figure it out. And APRA said, sure, go for it guys. As a result, for a while there, risk-weights were getting down towards 15%, before APRA said, ok hang on. This is getting a little silly. Lets put in a floor at 25%. And so that’s what we had, and this weighting applied across the mortgage book. But now APRA wants to treat different segments of the mortgage book differently. So owner-occupiers with a principal and interest mortgage gets a risk weight of 30% (with an 80%LVR), but owner-occupiers with an interest-only mortgage get a risk weight of 45%. But the scary thing there is the ‘non-standard’ segment. That’s 100%. That means that previously, as a portfolio investor, if I was going for an investor mortgage, principal and interest, with an 80-% LVR, my mortgage would attract a risk weight of 35%. That’s a HU-UUGE increase guys. And where I’m going to see it is at the credit level. So if we were saying before that $30 could support $300 worth of mortgages at a 35% risk weight, if the risk weight effectively triples, we’re now saying that that $30 can only support $100 worth of mortgage – a third of what it was. So the amount of money available to portfolio investors is potentially going to fall by two thirds. It’s going to be a more competitive marketplace for money, and that means we’re going to be paying higher interest rates. Sure, some of the old boys in their gold-plated limousines will barely notice the difference. But for investors like us trying to simply get ahead and make this our profession, it’s a kick in the teeth. So yeah, sure, maybe I should calm down a bit before I make my official submission, but sod it. 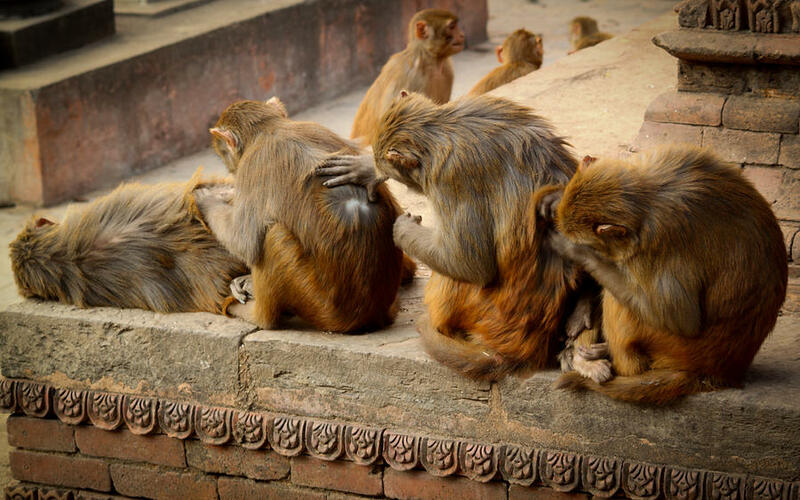 You’re a bunch of spankmonkeys. There’s your feedback.